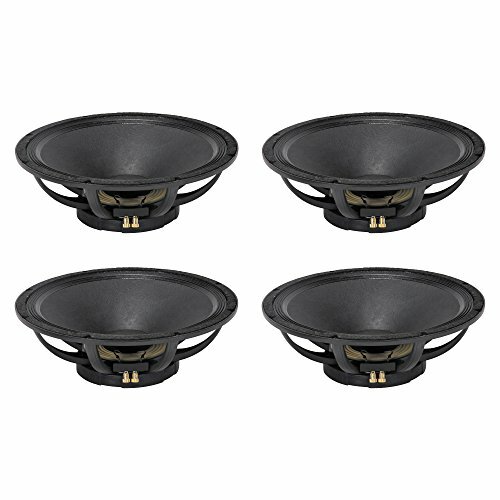 Peavey 18 Inch Replacement Basket for 1808-8 SPS BWX Subwoofer Speaker (4 Pack) by Peavey at IGWT. MPN: 4 x 1808-SPSBWX. Hurry! Limited time offer. Offer valid only while supplies last. Keep your favorite Peavey model 1808-8 SPS BWX speakers lasting longer and performing stronger with genuine 18-inch replacement baskets from Peavey. Keep your favorite Peavey model 1808-8 SPS BWX speakers lasting longer and performing stronger with genuine 18-inch replacement baskets from Peavey. These replacement baskets are compatible with 1808-8 SPS BWX subwoofer speakers, and perform for systems with a frequency range of 35Hz - 1kHz and sensitivity of 97.5 dB. Don't let the wear of time stop your favorite music or put an end to the perfect sound - keep your speakers protected and lasting longer with Peavey 18-Inch Replacement Baskets for 1808-8 SPS BWX Speakers.